Over the past several decades, the Arctic has begun to show signs of significant ecological upheaval. The rate of warming in the Arctic is nearly twice the global average, and those changes are triggering a cascade of destabilizing environmental effects. Ice is melting, permafrost is thawing, and experts say fires in Arctic forests are as damaging as they've been in 10,000 years. But new research suggests that the same factors driving the Arctic's changing climate are fueling a geological response that could play a small part in counteracting those changes' malign effects. "The production of alkalinity is a natural way that the Earth recycles atmospheric carbon dioxide," said study lead author Travis Drake, a doctoral candidate in FSU's Department of Earth, Ocean and Atmospheric Science. The production of alkalinity constitutes a carbon dioxide "sink," a system that works in opposition to natural and anthropogenic carbon dioxide emission. 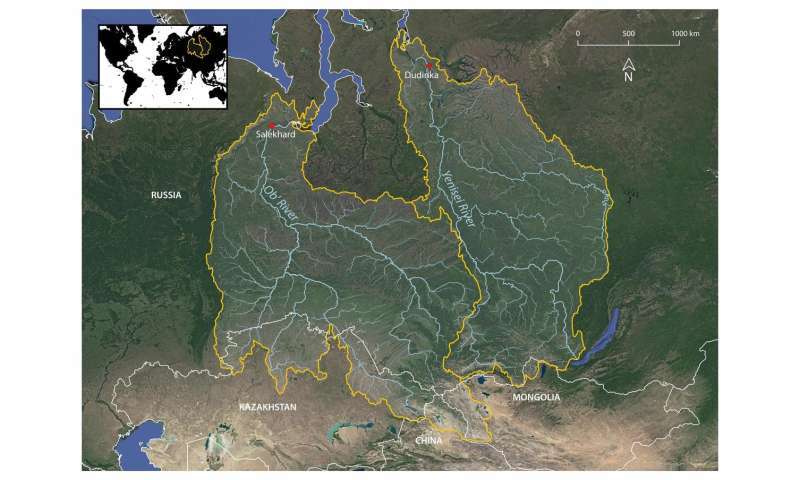 The researchers set out to determine how changing human activity and the dramatic shifts in Arctic climate might be affecting alkalinity production in two of the region's largest rivers, the Ob' and the Yenisei. "Since there are many changes underway in the Arctic as a result of climate change and other anthropogenic activity, we hypothesized that the production of alkalinity may have also changed over time," Drake said. "Through collaboration with our Russian colleagues, we were able to recover a historic alkalinity dataset dating back to the Soviet era." After parsing the data and comparing historical alkalinity rates with contemporary measurements, the researchers' suspicions were confirmed. Not only had alkalinity increased for both the Yenisei and Ob' rivers, but the rates had skyrocketed a remarkable 185 and 134 percent respectively over the 40-year interval—two figures that dwarf the rates of increase in similarly large rivers like the Mississippi (59 percent over the past 47 years). "If climate change is causing an increase in alkalinity production in the Arctic, it could be acting as slight negative feedback to warming, which is a good thing," Drake said. 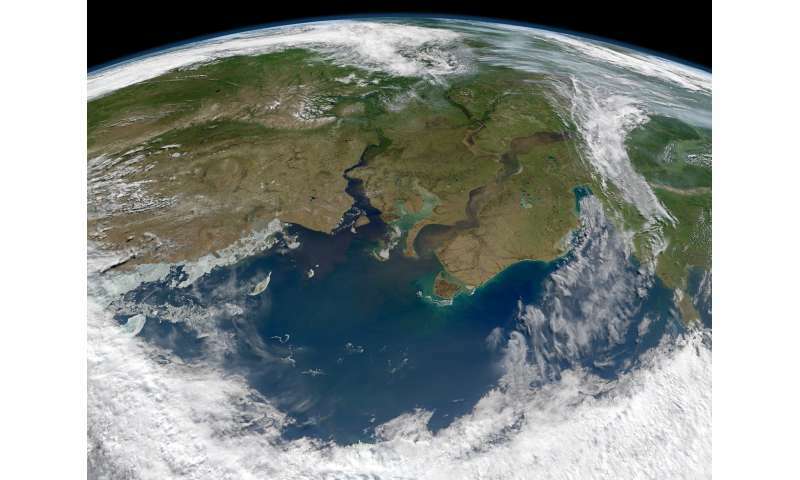 While escalating alkalinity won't approach the magnitude of response required to counterbalance anthropogenic carbon dioxide emissions, researchers said these findings illustrate the dynamic way Earth systems react to extreme climate shifts. "We still very much have to worry about the alarming rate at which CO2 is increasing in our atmosphere, but this highlights the complexity and somewhat homeostatic dynamics of the global carbon cycle," Drake said. Most plants and animals have fairly specific survival ranges for alkalinity and acidity, so leaving aside the one factor of CO2 absorption from the atmosphere, there will quite possibly be wholesale turnover in many places of riverine flora and fauna, especially since there are also clear co-evolutionary relationships between various species of flora and fauna in every environment. The complexity introduced is beyond the calculation power of any human mind and also probably any human-constructed computer system. Also, once this increasingly alkaline, carbon-laden fresh water reaches the increasingly acidic, carbon-laden ocean, what will the effects be? What will be the effects on the growth of the microbes we know are somehow transforming various forms of mercury into methylmercury, a neurotoxin which we know has been accumulating in the arctic environment and oceanic food chain for quite some time now? It's a moving target, with data changing so quickly. This is something I've argued for a while now; is that one doesn't see these upheavals in the environment like this except in extreme events, like meteor strikes, or super-volcanoes (or both). The results from events like that are recorded in fossil records across the globe, which now provide us a metric for comparison. On that note; I concur that diversity in microbes, flora or fauna is the thing that saves the planet as it has in the past. Let's hope we can convince enough of the climate deniers in time.